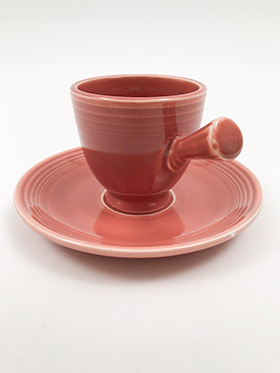 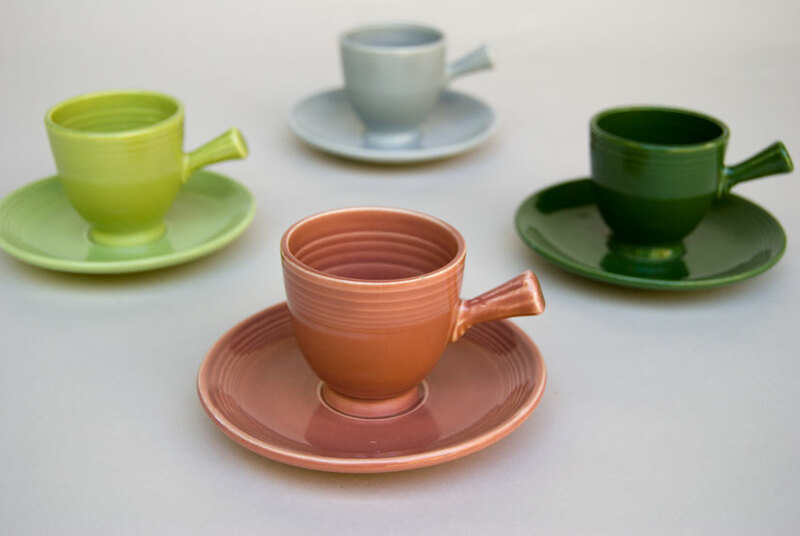 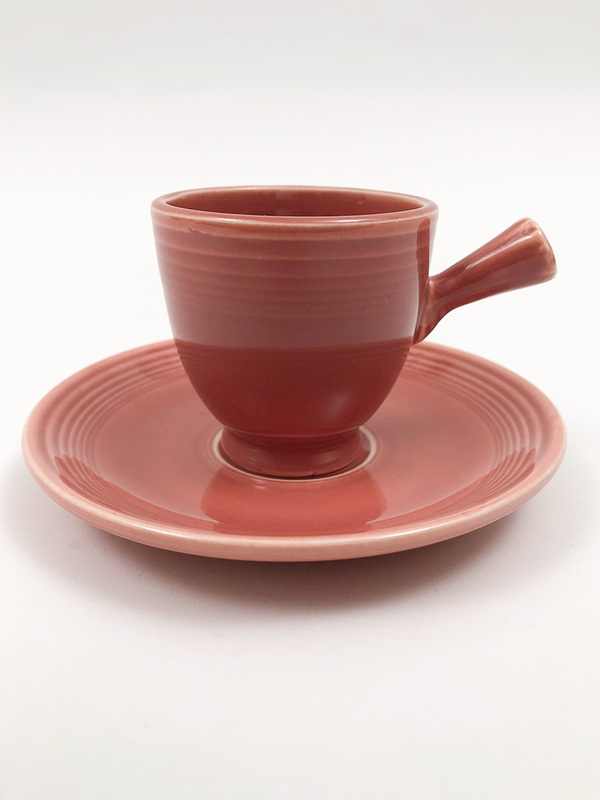 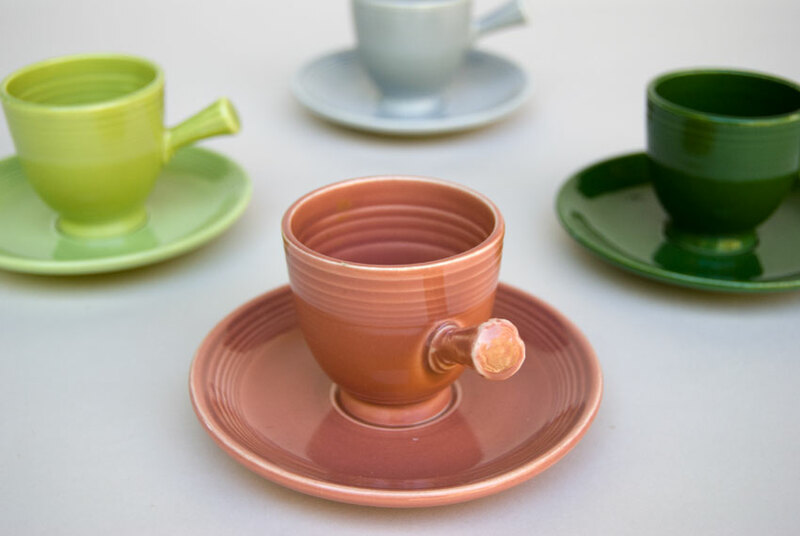 Circa 1951-1959: The Vintage Fiesta after dinner coffee cup and saucer sets from the '50s are hard to find and highly desirable . 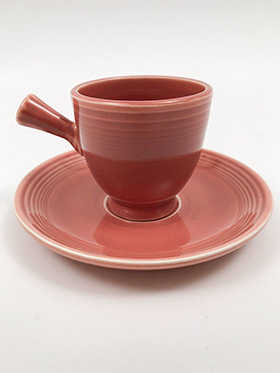 Hand craftsmanship included etching in the inside rings of the cup on a jiggering machine, and hand applying the handle. 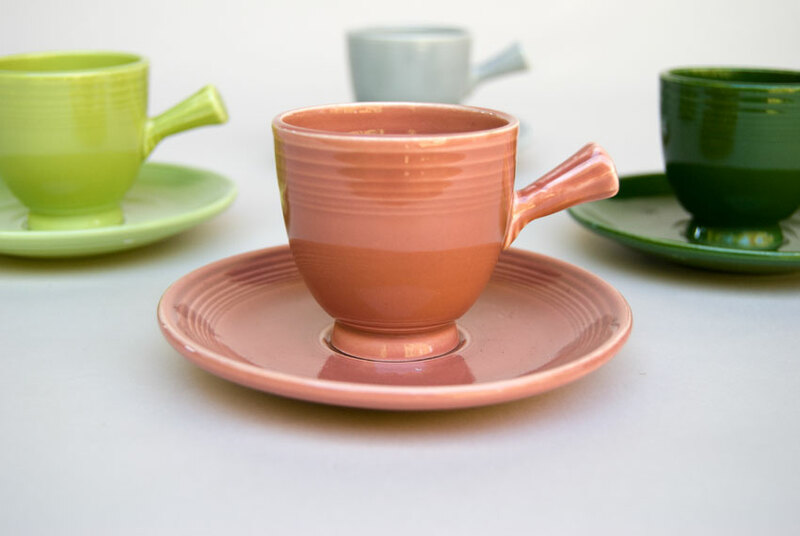 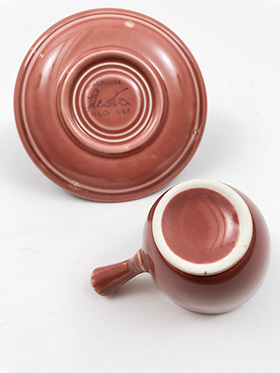 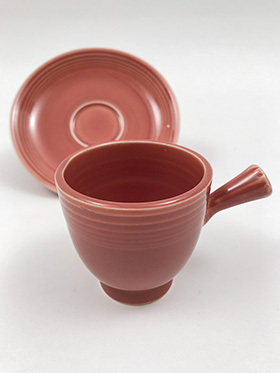 Fired once, dipped in the luscious '50s rose glaze and fired again, produced these Vintage Fiesta pieces that have no contemporary equivalent. Cup measures 2 9/16" w x 2 1/2" h. Saucer measures 5 3/16" w x 3/4" h.